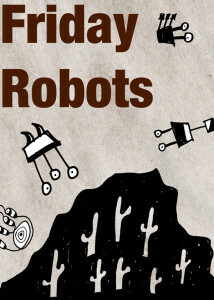 Today I was able to sneak a few Friday Robots into Falling Rock. Check it out! Don’t forget to meet me in San Francisco this weekend. I’ll be at APE, table 246B. You can find me by following all the cool kids. Or by following these directions. Whichever way works for you.